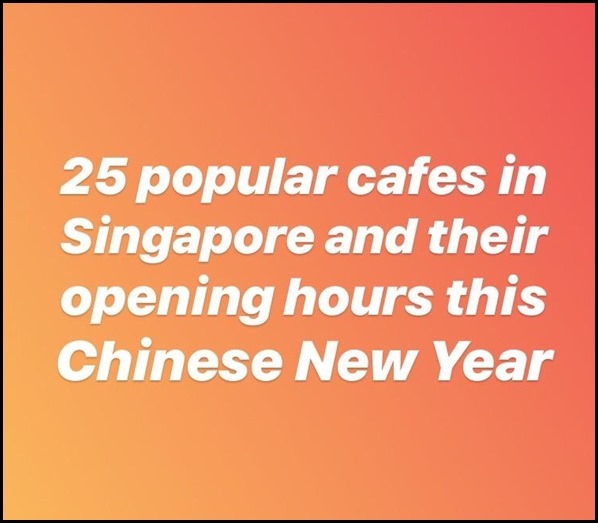 1st Day and 2nd Day (5 –6 Feb) – Plaza Sing, Capitol Piazza, Suntec, ION Orchard, Raffles Holland V and Chinatown Point open as usual. The rest closed. Closed from Monday (4 Feb) – Sunday (10 Feb). Business as usual on 11 Feb Monday. Closed until 11 Feb. Open again on 12 Feb Tuesday. 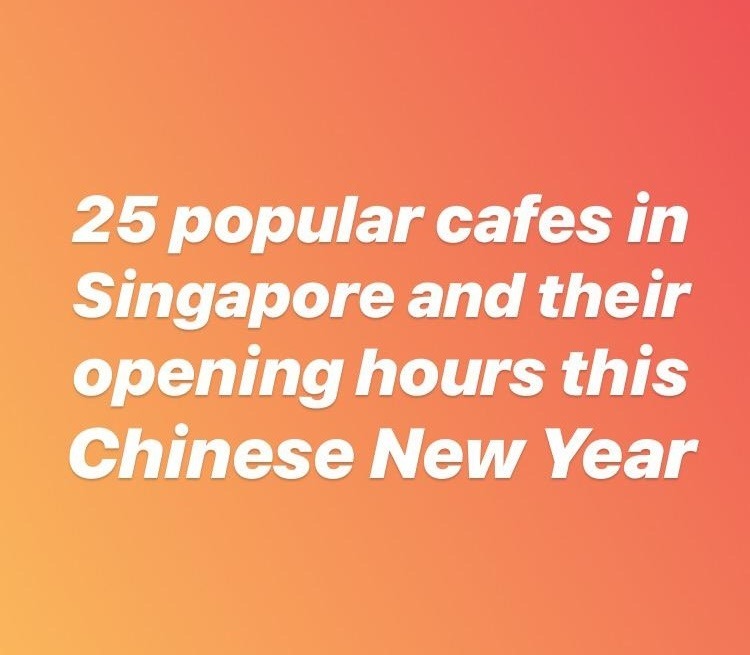 Closed until 7 Feb. Open again 8 Feb.
Open till 5pm on CNY Eve. Closed on Day 1 & 2. Business as usual on Day 3.